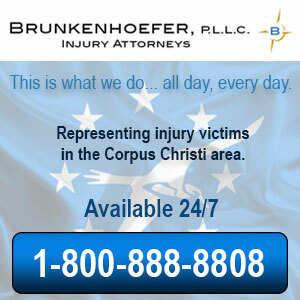 Corpus Christi, TX - Accident News and Resources including car, bicycle, motorcycle and truck accidents and much more. Corpus Christi is a coastal city in southern Texas. The metropolitan area US Census estimated population in 2013 was 442,600, making it the eighth-most populous city in Texas. The name Corpus Christi means, "Body of Christ" in Latin, and was given to the settlement and surrounding bay by Spanish explorer Alonso Álvarez de Pinedain 1519. The majority of the population is employed in the services, wholesale and retail trades, as well as government sectors. Interstate 37 provides access to the Corpus Christi International Airport and the city's downtown, as well as connecting the city to San Antonio in the north. U.S. Route 77 is a north-south highway that travels from Corpus Christi, through Dallas, and ends in Sioux City, Iowa. U.S. Route 181 is located entirely within Texas, and runs from Corpus Christi to just south of San Antonio. It largely parallels Interstate 37 to the east. Texas State Highway 35 travels from Houston to the eastern side of Corpus Christi. Texas State Highway 44 runs east-west, connecting Corpus Christi to Encinal. It is also known as the Cesar Chavez Memorial Highway. Texas State Highway 286 / Crosstown Expressway this road connects downtown Corpus Christi to Chapman Ranch. Texas State Highway 358 / Padre Island Drive is a highway that runs along the southern end of Corpus Christi. The Corpus Christi International Airport serves the area, primarily offering flights that travel through Houston and Dallas. 28 bus routes provide transportation in the inner-city, and are managed by the Corpus Christi Regional Transportation Authority. The city has a large harbor for freight, but does not have a passenger port, though plans to build one are being discussed. Railroad transportation from San Antonio to Corpus Christi is provided by the Union Pacific Railroad. If you know someone who has been injured in an accident in the Corpus Christi area, it is likely that they were taken to one of the following medical centers for treatment. After someone has been injured or killed in a motor-vehicle crash in Corpus Christi, many decisions need to be made immediately and questions need to be answered. For example, how much of the medical costs will be covered by the insurance policy? How does PIP insurance help with medical bills immediately? What if the at-fault driver has no insurance? After a serious crash, it is crucial to get help from a Corpus Christi injury attorney who understands the local regulations and legal standards, who knows how insurance policies work, and who can handle all aspects of an insurance claim so the injured person can focus on recovery. If someone is killed in a collision, a Corpus Christi wrongful death attorney will launch a claim that will begin the process of financial recovery for the family members left behind. 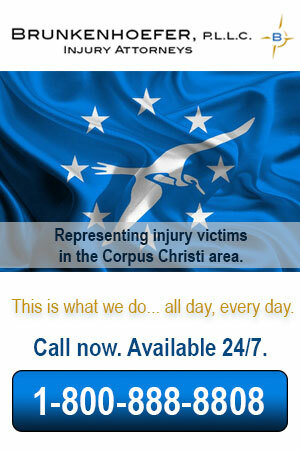 Learn more here about what a Corpus Christi accident lawyer can do to help. In the big picture, it is almost-always to the plaintiff’s advantage to wait patiently for a settlement, either negotiated higher with a lawyer’s help or won through courtroom litigation. If you absolutely cannot put compensation off any longer, talk to your attorney about what you can expect if you were to offer to settle right now. Just don’t be surprised if it is a fraction of what you deserve. In Texas, all parties involved in an automobile accident, whether it be a driver, passenger, or pedestrian, have two years to file a claim. This time limit begins on the date an accident occurred and exists for virtually all car accident cases, no matter how extensive the damage. Determining the actual value of your car accident claim, and therefore how much you should ask for in return from the liable party’s insurance company, is a straightforward and simultaneously complicated process. It can be simple in terms of vehicular damage. If you have been physically injured as a result of the car accident, you will need to know the cost of your own recovery, which is far easier said than done. Read more here about how professionals determine your claim value. In addition to being illegal, using a smartphone while driving places a great deal of liability on the shoulders of the driver should a car accident occur. The trouble is figuring out if cellphone use was actually happening right at the moment of collision. Learn more here about Texas distracted driving laws and liability after an accident. To help you get through the after effects of a car accident, there are a series of steps and hints you should always take and remember, regardless of the details of the incident. But the reality is that insurance adjusters and the liable party are going to approach your claim with an ample helping of skepticism. One way to strengthen your case and fight for full compensation is to show that your injury is common in car accidents. According to the Occupational Health and Safety Administration (OSHA), more than 4,000 oilfield workers are injured at work each year, with more than 100 of these cases ending in fatality. Unfortunately, many of these accidents occur as a result of the negligence of another party, such as a drilling company’s failure to provide adequate safety gear or a lack of supervisors on a jobsite. But if the leading cause of car accidents is the people controlling the car, every effort to stop their dangerous behavior is an uphill battle. All the regulations and training in the world cannot guarantee that someone will put down their cellphones and focus on driving. Read more here about the latest information on the causes of car accidents, and about what to do if you are injured in one.